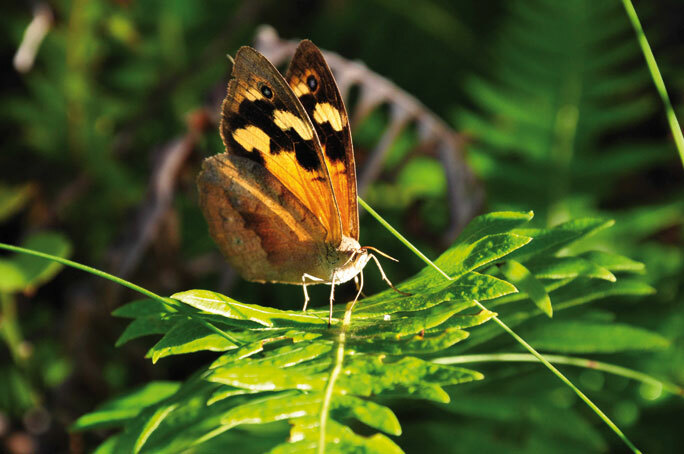 For the first time a paper has shown causal links between human changes to global temperatures and species behavioural change, in this case the early emergence of butterflies. The common brown butterfly (Heteronmympha merope) is an important part of the Melbourne ecosystem. Its emergence was a defining feature of the local Aboriginal calendar, and detailed records have been kept at the Melbourne Museum for many years. Natalie Briscoe, a PhD student at the University of Melbourne’s Department of Zoology, carefully studied the effects of temperature on the butterfly’s emergence, showing that an increase of 0.14°C during the egg and larval stage would lead butterflies to emerge from their pupal stage 1.6 days earlier. Temperature records over the past 65 years show this level of warming each decade for Laverton, the nearest rural weather station to Melbourne. Butterflies are indeed now emerging 10 days earlier, as the data would suggest. Dr Michael Kearney, Briscoe’s supervisor and lead author of the paper they published in Biology Letters, says that the Laverton data closely matches climate records from across Victoria. Papers showing a correlation between temperature change and alterations in species behaviour are very common, but Kearney says studies showing that these are connected are much more rare. However, by keeping other factors constant for the laboratory-raised H. merope, Kearney and Briscoe were able to demonstrate a causal connection. When Kearney discussed his work with Intergovernmental Panel on Climate Change author Prof David Karoly of Melbourne University’s School of Earth Sciences, Karoly suggested they take the work further by testing the extent by which warming around Melbourne is based on human influence. Karoly showed that global circulation models of the Earth’s temperature only give the observed warming for Victoria if rises in carbon dioxide and other greenhouse gases emitted by humans are included.